Consumers are used to quickly brewing coffee at home with coffee-pod machines such as Keurig. But for cold carbonated beverages, choices have been limited to either pre-made sodas or using a carbonation system such as SodaStream. A new venture between Keurig and Coca-Cola is changing that model. 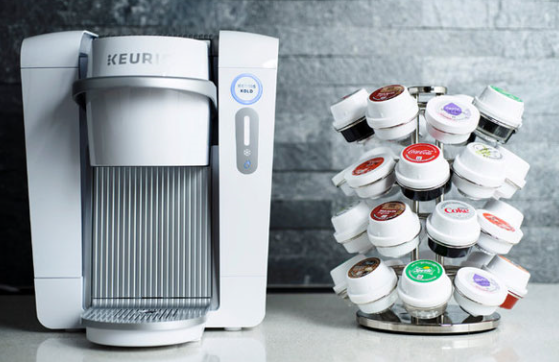 The two companies have partnered on the Keurig Kold – a countertop machine that instantly makes chilled beverages including soft drinks, iced tea, and sports drinks in homes. Keurig Kold is available online plus selected retailers in Atlanta, Boston, Chicago, Dallas, Los Angeles, and New York markets. The machine is priced from $299 to $369 per unit, plus an estimated $5.00 per four-drink flavor pod, including popular flavors from Coca-Cola. The innovative flavor pods contain beads of carbon dioxide in half of the pod, thus providing carbonation without the need for a carbon dioxide tank. Refreshment and carbonation at the touch of a button, all on a home’s counter. For Keurig Kold, divide students into groups and have each group work on any/all of the six steps. Debrief the exercise. Compare the various pricing models and discuss advantages/disadvantages of each. Is the Keurig Kold priced appropriately for the target market?